Now Carola has generously offered a 12% discount on the pattern for EVERYBODY who’s participating in this CAL! If you would like this discount, please let me know in the comment section. I will then send your info to Carola, who will provide you with the discount code for purchasing the pattern. Just like last time, this pattern is for people who’ve been crocheting a while, know the difference between front loops and back loops, and know how to make frontpost and backpost stitches. But if you’re a beginner, and still want to make this pattern, I say go for it! That’s what CALs are for, to learn new things and to ask others questions if you can’t figure it out on your own. The CAL is officially starting on Monday the 18th of February, so one week from now. For me, Monday will be the day I blog about the CAL. It will run for 6 weeks, and then there will be a vote to decide who’s mandala came out the best! The winner will get some amazing goodies, which I’ll announce later. There will also be a Flickr pool for you all to upload your pictures in and possibly a Ravelry group; all those details will be clear next Monday. I’d love to join in. I’ve been looking at mandalas with great interest and finally started one of yours. On round 4! Please forward my email for the discount code. Thanks. I would love to join this CAL! One of my goals this year was to do more complicated crochet patterns, and this looks like it qualifies. :-) Please send the discount code to girl@girlgoingcountry.com. Now I’m either going to have to break down and buy more yarn (despite trying to bust my stash) or look at my current stash in a whole new way for making this mandala! Can’t wait! Sure, I would like to join! I’ve never actually joined a CAL but marvelled at the sight of many of them ;) Looking forward to it! Ohhhhh thats really beautifulllllllllllll…just awesome !!! Hee Wink, ik ontvang graag ook een discount code. Wil al lang graag een mandala maken, dus dit is een perfect moment! I would love to join! You are an amazingly talented woman. You go girl! oh wow,I’ve been wantng to try overlay, can’t wait to join in. Please email the discount code, thanks! yay! looks amazing :) i’d love to join, although it will probably be a very late start for me. please sign me up! I would love to participate in this CAL….love the pattern! I’ll wait for the discount code before getting the pattern! I want to participate! I’m so glad I caught it this year! Count me in! It was fun making the mandala(s) last year. Hi! I’m excited to try something new but I am super nervous as I have never tried this technique before! Please sign me up and please forward the coupon code. I would love to join in! I have been wanting to try overlay crochet for a while and this seems like the perfect chance. Please send me the discount code. Thanks! That is gorgeous! Great job. Please add me to the list. I am afraid I may be to much of a newbie, but I won’t know until I try. This is my first CAL and I look forward to seeing everyone’s work. Please send me the discount code. Oh my, I can’t pass up a mandala! Count me in, I had so much fun last time! How may I promote this on my blog? Could you please email me at boocoos@me.com regarding getting your banner to work on my blog? How can I not CAL with you being so enthousiastic! I would like to join in on this CAL. It will be my first CAL. I have participated in many SAL’s and enjoyed them. I posted it on my Facebook. Guess I should’ve asked. I have a few avid crocheters in my family and was hoping one or two of them would join. Hi Alesha, thanks for posting it on Facebook! And there’s no need to ask :) Spread the word! I’m a fairly new crocheter and have up until now mostly used acrylic yarn. I bought the pattern (woo hoo!) and see it recommends cotton yarn. Should I plan on using cotton? Or will acrylic be ok? Any suggestions or tips around yarn choice is greatly appreciate so I can be ready to go! 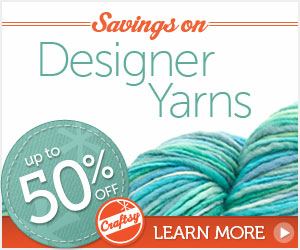 The next time I blog about the CAL (every Monday) I will discuss the choice of yarn & hook, as well as choosing colors. Thanks for asking this question. I saw the yarn in the pattern and was looking it up last night. I have used cotton yarn to make dishcloths. As a fairly new crocheter, I find the cotton yarn very easy to work with. Wink, I look forward to your Monday post! I ordered the pattern last night – I also have 2 baby blankets to make (one with a graph) so I’ll do my best to keep up. Now I need to pick my colors! This looks very interesting. Please forward my email. Thanks. I would like to join your CAL. I would like to get the pattern and be ready for the 18th . Very excited. I have started a baby blanket with your groovy ghan last night and finished about 20 rows. Hubby saw it this morning and loved it. He even loved the back of the piece. When done I will send a photo if I can figure how to do it. Thanks for a wonderful site. I would love a discount code for the Mandala design. My email is nevillegirl@mail.com. I would like to join the CAL also and learn how to do the mandala. I would love to join! Please email me the code…. This looks beautiful but I have to pass. Good luck everyone! Pingback: Haak Maar Raak, Overlay mandala CAL 2013 has arrived! I have never made a mandala before and would love to join in. May I get the code for the pattern please? I would like to try to make one! Can you please send me the code for the pattern? I’d love to join in , have been looking at these and love them, may be I should start with first one? Ok please join me up for this crochet along. It will be the first I have ever join. Please be patient as I will need help with Flickr too. I have the pattern and am waiting till it starts. Is that Monday Australian time (EST) or a different timezone. Hi I would love to join this CAL. I just realized when I left my comment I forgot to ask about the discount for the pattern. Looking forward to learning about making crochet Mandalas .. so beautiful. Kindly send me the discount code for this pattern as I have been looking high and low on the internet for a free or affordable pattern like this!! It’s one of my favorites! Please send me the discount code for the mandala. I have resisted for as long as I can, and ran out of resistance! I LOVE the looks of the mandalas and want to learn how to do them too! Was very happy to see the CAL for them! Yay! Would love to take part- please sign me up! I have not received my discount coupon code yet. I am keen and eager to join this CAL. Love this pattern. Can I get it? Hello- I would like to participate. Can I please get the discount code for the pattern? I love your site also. Thank you. I am a late starter, but have joined the CAL group on Ravelry and would love to purchase the pattern if it is not too late. Hi, I’ve joined, got the discount code, purchased the pattern, printed it and now where do I go to upload my finished mandala? I too would love to participate in the CAL and make this beautiful mandala. Hi! I’ve purchased mandala 1 and 2 but haven’t made them yet. This CAL wil get me to finally conquer this challenge. I think overlay is gorgeous!. Better late than never. Please sign me up! I am so excited and the ones that are finished are gorgeous! Thanks for hosting this CAL. It should be fun. Can i join? I woud love to make this project and share it. Of course! :) I’ll add your name to the list. Welcome! I have send you an email. Thank you! I too would like to join the CAL, if it’s not too late. How do I join? What do I do? Is it too late to join, I’ve never made one, but this looks fun and gorgeous! It’s NOT to late to join and it’s such a hoot to do. Come on, you can do it and there’s lots of help available if you get stuck. Step out and just do it! Me encanta, nunca hice uno, donde puedo adquirir informacion para aprender paso a paso.- Agradeceria inmensamente. Beautiful!!! Am I too late to join in? I’ve been crocheting for years; but, lately with more time on my hands I’m going through pieces like heck!! If you would kindly forward my email address – istangye56@gmail.com to whoever needs it – Carolyn I think it was – so, she can send me the discount code. I also am very interested in “CAL” and more complicated patterns than I have been doing. I’m ready for more projects!! Thank you – Irene S. Tangye – Florida – USA!! !